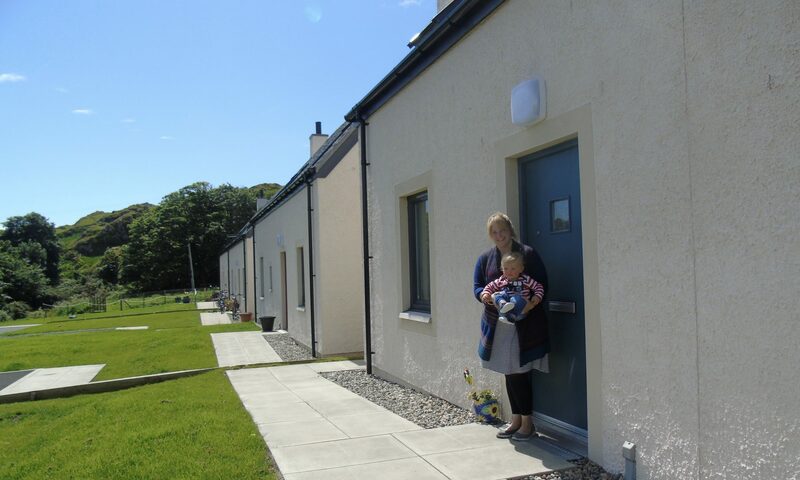 Rural Housing Scotland supports communities to take action themselves to build housing for rent or ownership; enable others to build; and lobby for the development of housing and infrastructure to sustain and regenerate their community. Lack of affordable housing consistently tops polls regarding the concerns of rural communities in Scotland. Many recognise that suitable housing is crucial to sustain local services and to enable young people to remain and return to rural communities; that the local school and village shop depend on families being able to make their lives in their home communities and that local services depend on key workers being able to access housing. Yet communities have found it difficult to take direct action to solve this issue. While communities have developed their own answers to other social and economic problems through community ownership of land, shops, even abattoirs, housing has for most been something that has been impossible to solve through community ownership. There have been some notable exceptions where rural communities have developed their own solutions to local housing needs, and taken action themselves:the Strathmashie housing initiative at Laggan; the railway houses at Crianlarich; the Eigg Roll initiative on the Isle of Eigg and new development by the Knoydart Foundation. However restrictions on who can get housing grant funding from the Scottish Government has meant that most communities seeking to tackle local housing problems work in partnership with housing associations to meet local need. Communities can have a vital role in the development of affordable rural housing; some own land already so the cost of housing development is lower. Communities can tap into new money for housing investment with using community share issues or income from renewables to finance housing provision. Others can provide house plots at nil or very low cost to enable local people to build in return for an equity share.